Our Kindersley Chapter meets every Thursday. We provide a friendly, comfortable environment where group members support one another. 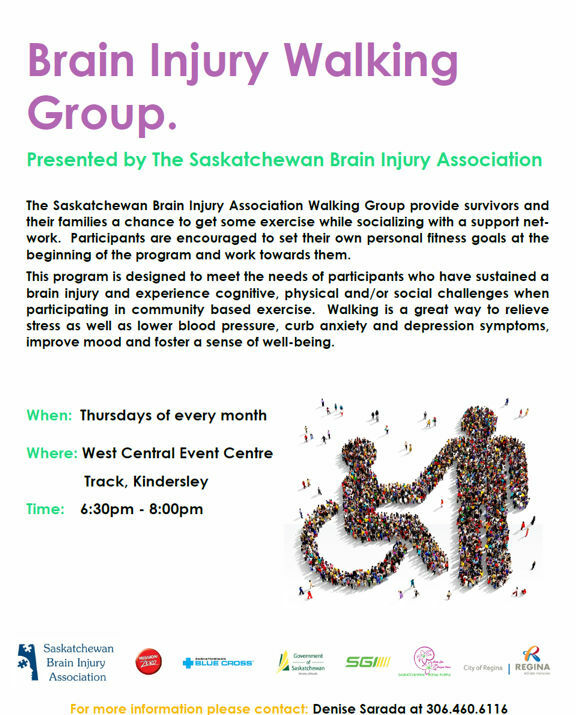 Details: Kindersley Chapter holds a weekly walking group for survivors and their caregivers. Participants are encouraged to set their own personal fitness goals at the beginning of the program and work towards them throughout the year. Walking groups provide survivors and their families a chance to get some exercise while socializing with a support network. Walking is a one way to help relieve stress, lower blood pressure, curb anxiety and depression symptoms, improve mood and foster a sense of well-being.